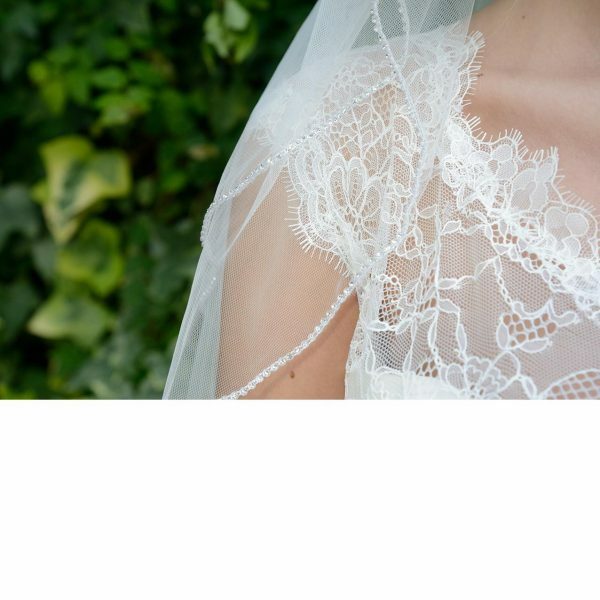 Belle wedding cape by Poirer – a stylish tulle cape with stunning french lace edge scattered with sequins which complement the piece perfectly! A chic, practical cape cover-up for a summer wedding solution, church wedding or simply to add interest to your look. 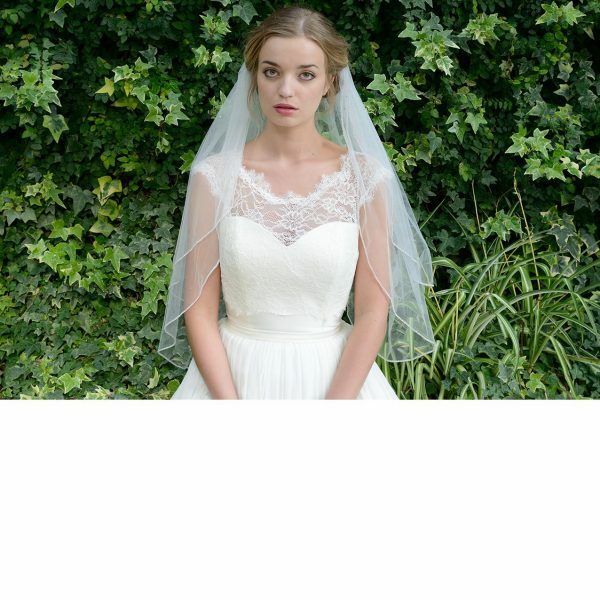 This cape is from the Poirer range of luxury wedding capes for brides!